On behalf of Drs. Kelly Waggener and Jason Lehman, we welcome patients of all ages to our family dental practice in Santa Rosa. We treat children as young as 3 years of age, and we’re also happy to welcome senior patients looking for quality care. “Family” is very much at the core of our practice. Not only are Drs. Waggener and Lehman exemplary care providers, they are also husband and wife and proud parents of two. At our family dental practice. 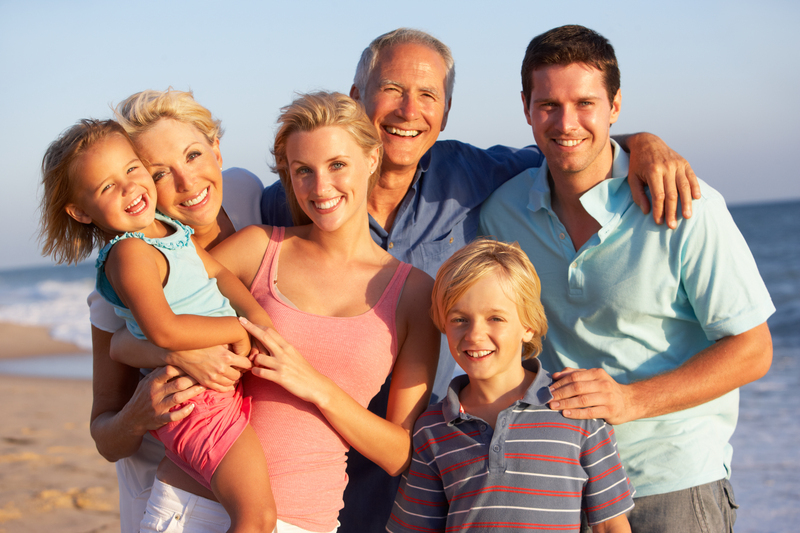 LehmanWaggener Dental, we treat every member of your family as we’d treat our own. For a child, the first trip to the dentist is a big event, and it’s important to choose the right care provider. With the right level of instruction, routine preventive checkups and support, good oral health care habits can be formed at an early age and last a lifetime. When working with children, we make it our mission to support a strong foundation conducive to the emergence of healthy secondary teeth and lifelong healthy habits. Some of the dental services we offer for our children include oral exams, digital x-rays, and routine cleanings. We also provide sealants and fluoride treatments to help prevent tooth decay and will restore damaged teeth with gentle, compassionate care. We know that when it comes to good dental care our seniors value working with dentists who are forthcoming and trustworthy. We take time to fully explain the upsides, downsides and costs of the various procedures that may be used to address a given circumstance. We also take measures to alleviate any dental anxiety so that our patients can enjoy a more relaxed, stress-free experience. We are experienced with senior dental care, including bridges and partial dentures. Our treatment plans are conservative, meaning we will use the minimally invasive procedures to achieve the best result. If you have questions about a particular procedure we’re always willing to provide an open and honest dialog about available dental care options. For families looking for a family dentist in Santa Rosa, we welcome you to LehmanWaggener Dental. Call our office or request an appointment time using our online form.